Co-parenting is not an easy task. You have to learn to emotionally separate yourself from the other parent and treat your communications like business. When do you pick up the kids? What do they need for soccer practice? Who is their guidance counselor? It’s a lot to keep up with. What if there was “an app for that”? Just your luck, there is! A couple of apps, actually. I’d like to introduce those apps to you in this blog post in the hopes that you will find the best way for your family to communicate. 1) Google Calendar. The first app I will introduce is the simplest one of all: a shared electronic calendar. It is easy to set up and use, and it’s free. You can set up multiple calendars for different things, such as, a calendar for visitation, a calendar for doctor and dentist appointments, a calendar for school events, a calendar for extracurricular activities, and so on. Either parent can add events to the calendar, and cause a notification to be sent to the other parent so that they know what was added. Stepparents and children can also be given access to the calendar, so that everyone knows where the children are at any point in time. The children can look at the calendar and know which parent to ask about a sleepover, for example, or whose house they will be at for Christmas. Kids thrive on stability and certainty, and something as simple as a Google Calendar can provide just that. 2) Our Family Wizard. Our Family Wizard is the creme-de-la-creme of co-parenting apps. It has everything you could want and more. Not only is there a calendar, but there is also an internal messaging app, expense tracking, medical information, school information, and note taking. Attorneys like it because it saves everything: you can easily print or send all of your communications with the other parent to your attorney if there’s a problem. You can easily track expenses and reimbursement, if someone falls behind. It even has a feature to identify and flag “emotionally charged sentences” to help prevent you from accidentally saying something that you might regret! Pretty nifty stuff. The only downside to this wonderful service is the price: $120 per year. But with that, you get excellent customer service and an excellent service. Most clients find that it is well worth the price. 3) AppClose. 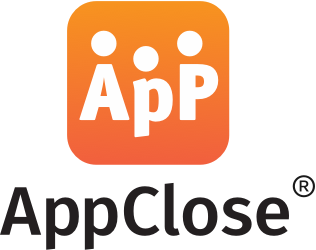 AppClose is the budget version of Our Family Wizard. It has many of the same features, but none of the price, because it’s free! It also has a calendar, messager, expense tracking & reimbursement, and important information. With the expense tracking, you can log an expense in the app and request reimbursement from the other parent, who can pay through the app, instantly. From my experience, AppClose doesn’t work quite as seamlessly as Our Family Wizard. In fact, the set up can take awhile. But once it’s set up and you get the hang of it, it’s great! And at the $0 price, it’s worth a try. 4) Cozi Family Organizer. Cozi is an app that is used by nuclear families and non-traditional families alike. It is an easy way to organize your family’s life by use of electronic calendars, to-do lists, a family journal, and even recipes and shopping lists! It is easily shared across all of your devices. It is an upgrade from the Google Calendar, but not quite the full-fledged co-parenting app like Our Family Wizard or AppClose. If you’re like Goldilocks and want something in the middle, Cozi is a great choice for you. And once again, it’s free, unless you opt for the Cozy Gold, which has additional features. Grandparent visitation is a thing. If you are a grandparent and your grandkids are being withheld from you, then you may have a legal avenue to enforce your right to see your grandkids and have a relationship with them. However, there are some complicated requirements to get there. First, in order to petition for grandparent visitation, you have to be a grandparent or great-grandparent to the child, and the relationship of the child's parents has to have been severed by death, divorce or separation. Second, if the custodial parent is withholding visitation from you, then the law presumes that what they are doing is in the child's best interests. It is up to you, the grandparent, to overcome that presumption. To show that you have had a significant relationship with the child, you have to show one of these three things: that the child lived with you without the custodial parent for at least six months; that you were the regular caregiver to the child for at least six months; or, that you had regular or frequent contact with the child for at least 12 months. To show that visitation with you is in the child's best interests, you must show that you have the capacity to give the child love, affection and guidance; that the loss of their relationship with you will be harmful to them; and that you are willing to cooperate with the custodial parent if visitation is allowed. As an example, let's say you are the paternal grandparent of little Grace. Before her dad passed away, you saw Grace all the time. You babysat her, picked her up from preschool, took her to the zoo, and participated in holidays with her. You love her very much. But since her dad passed away, you don't see her much anymore. In fact, her mother has decided that you remind her too much of Grace's dad and she doesn't want you to see Grace at all. You are devastated, and after months of asking to see her and being denied, you finally decide it's time to talk to a lawyer. Your lawyer (me) helps you file a petition for grandparent visitation. You show that you have a significant relationship with Grace because you had frequent contact with her for over a year. You state that the relationship of her parents was severed by her dad's death. You prove to the judge that you can give Grace love, affection and guidance, and that the loss of her relationship with you will harm her in the long run. But you agree that you will work with her mother if visitation is allowed. In this case, your petition is likely to be granted. Grandparent visitation can be even more complicated than your average custody case. If you are a grandparent who would like to enforce your right to visitation, schedule a consultation with Leslie so that she can assess your specific situation.